I live in such a pretty area, I love exploring! I’ve lived in the same time my whole life [save for a few years in College and after I move next month!] but I still feel like there’s so much to see here… like this gaawwwwwwgous waterfront in Red Bank. My husband used to go fishing here with his Grandfather all the time when he was young, but I didn’t even know it existed! That “little” white house behind me? Yeah, that’s Bon Jovi’s. No big deal. And by little house I really mean small compound. I love the color of this dress. It looks perfect with my skin color since I can’t seem to catch a tan for my life! Thank goodness for Arbonne’s sunless tanner! It’s a life saver. (I’m on my 3rd bottle since April… don’t judge me). The small gold square ring is actually a pinky ring! Unfortunately, or fortunately depending on how ya look at it, it doesn’t fit on my pinky! It’s too big :[ It only fits on one finger… my left ring finger. Figures! But I love it so much sometimes I wear it instead of my wedding rings… my husband hates it, but he just doesn’t understand what us women do for the love of fashion! 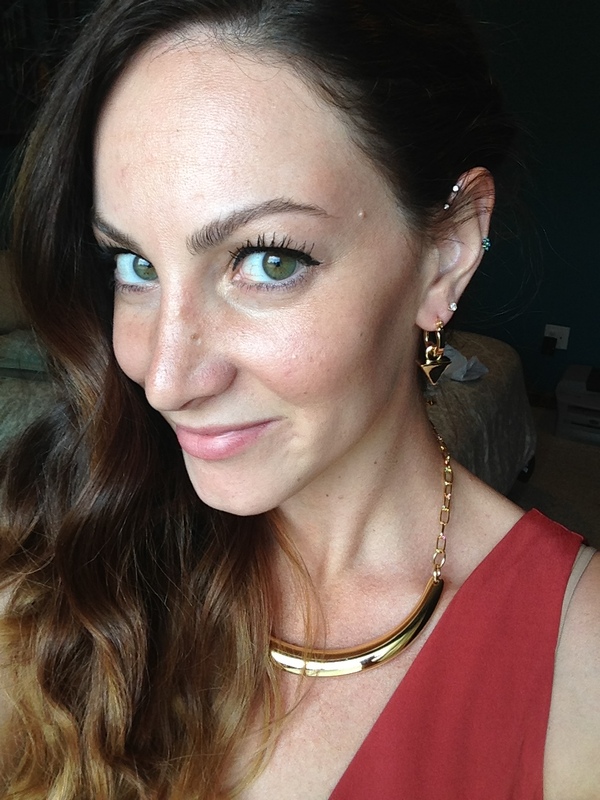 These earrings are known as “The pair that goes anywhere.” So versatile and perfect! Don’t mind my necklace here… I switched it out before I left, hah. Anyway! It’s a crappy day here in NJ, so I’m planning a fun shoot for later! Stay tuned ;] Until next time, kisses!